Oct. 15, 2009 Today is ‘Blog Action Day’ powered by Change.org, when over 12,000+ global writers turn their sites on one topic to reach millions of eyeballs one day to appeal to their own readership. This year the subject is ‘climate change’ and while I’ve written extensively about eco-kids, green gaming, and grassroots orgs like Cool the Earth tackling the issue, I needed only to look at one of my own personal heroes to get a fresh point of view on our interconnectivity. In this recent video, Jane Goodall readily inspires a shift in thinking away from doomsday mindsets toward actionable thinking, and in 3 minutes gives us a snapshot of why JGI’s Roots & Shoots matters. Bluntly, if kids love animals, we need to complete the circle of one world thinking to convey why they should be stewards of the earth…because advocating for one without the other is senseless. Frankly, the wisdom of this world-renowned scientist also makes a great marketing case study: Tap into kids’ interests early on, and you create ‘brand loyalty’ to the mothership…in this case, good ol’ planet Earth. It’s akin to ‘selling stewardship’ as a value-added proposition, because when you market hope and promise, the “return on investment” is a huge win for ALL generations. …Cool the Earth with their ready-to-run program using theatrical arts and fun polar bear costumes to launch familial competitions ‘sell’ the concept of reducing ones’ own carbon footprint from the kids up. It’s the same ‘upsell’ reverse-marketing strategy we use with our Gross Out Game for Good Nutrition. It helps bridge the knowledge gap (or I should say, makes kids WANT to learn more to impart) motivates the parents, and empowers the youth to ‘teach their parents well.’ It’s a great way to pay it forward from school to home, or vice-versa…works both ways, and throughout the community as well. 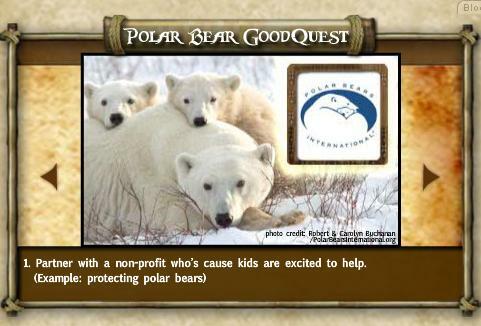 Teens can look after a ‘virtual polar bear’ on Facebook and learn about climate change in the process, and ‘tweens’ enjoy the full immersion of virtual worlds like Elf Island’s Polar Bear quest to impart online to offline gaming/knowledge that benefits Polar Bears International in the real world…Yet another scalable, actionable, empowering game plan where kids can make a difference hands-on. They can SEE the change and BE the change. 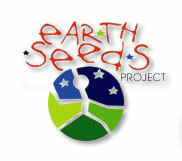 By ‘seeding’ a 2020 vision (as Earthseeds reminds us) and scattering personal accountability and resp0nsibility as the planting to take root, we’re counting on the lil’ sprouts to be the next generation of environmental stewardship…a necessity for our very survival. Harnessing the energy and enthusiasm of kids helping kids in peer to peer mentoring programs works wonders. Usable examples? …And even the first graders giving pointers to kindergarteners on packing a ‘trashless lunch’ for the first time when they bridge from ‘snack’ to the lunch tables at school! It’s also why we all need to ensure kids ‘unplug’ get outdoors and guard against “Nature Deficit Disorder” as Louv says. International Day of Climate Change is coming Oct. 24, 2009 Visit 350.org to mobilize and take a stand on a safe climate future!What does ‘350’ mean? See for yourself, below! From there we have seen thousands of interesting posts from bloggers in 150 countries. The Official Google Blog provided a green tour of their campus, Gadling is featuring green travel posts all day, and Grist has a great round-up of some of the best posts thus far. Nonprofits including Oxfam, Greenpeace , 1Sky and TckTckTck have all put up new posts. Blog Action Day has been the top Google blog search today and CNN just wrote an article about us! Right now posts are pouring in constantly. It’s truly an impressive display and there’s too much going on to list it all in an email. You have to check it out yourself. You can follow all the latest posts and tweets on a new live stream on the http://www.blogactionday.org homepage. You can also get breaking updates and more in-depth information on the official Blog Action Day blog. If you haven’t posted yet, remember to include the words “Blog Action Day” in your post so that it gets pulled into the live feed on our homepage. If you are on Twitter, you can follow @blogactionday and use the #BAD09 hashtag in your tweets. Thanks to all of you who have already posted and to all of you who will throughout the rest of the day. If you haven’t, you can still register and participate today! This has already been an amazing day and the Blog Action Day team couldn’t be more impressed with how many bloggers from all parts of the global are coming together for such an important issue. This looks really awesome, thanks so much for writing about this. 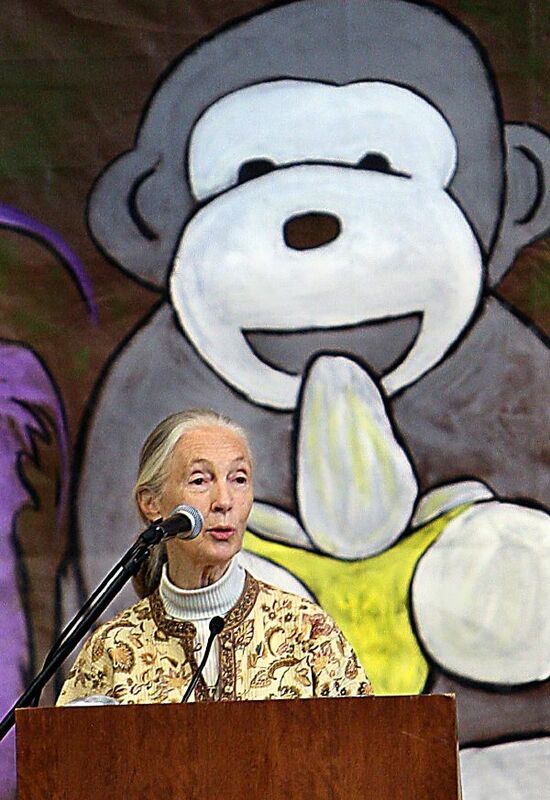 Jane Goodall is one of my heroes! .-= aaronshawphd´s last blog ..Baby Animal of the Day! Lemur! =-. iturnedgreen dot com It’s the Miss. 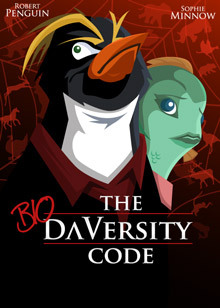 Colina episode. That is a great speech delivered by Ms Goodall. I think the world will be fine eventually. The question though is will the human race still be there? We may leave a terrible legacy for generations to come if we don’t get our act together.